It is formed by hybridization of nutritional wheat (A.speltoides) in natural process. It has different local names such as kavulca, kabluca, kavulca flour. EMMER wheat has a low gluten level. There is no external interference by human hands on this wheat. 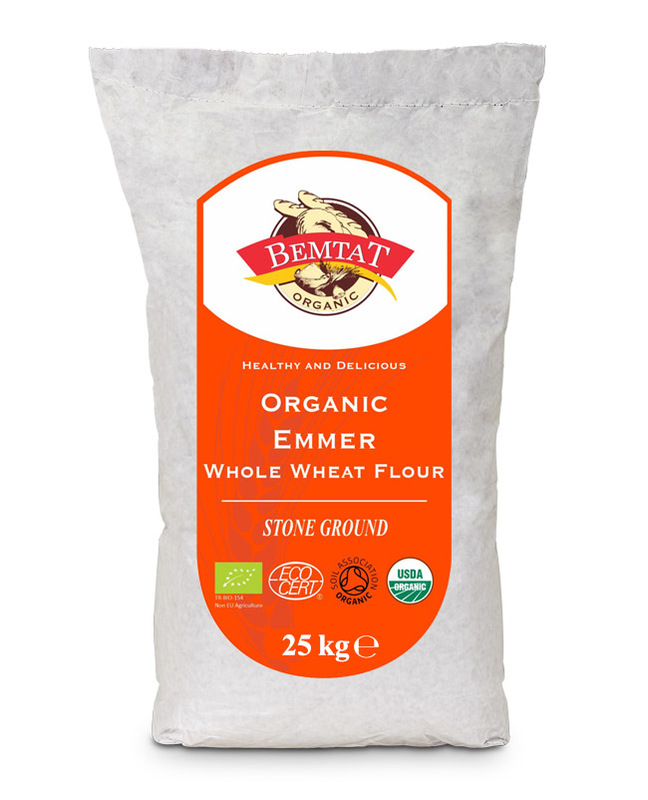 Emmer wheat contains primordial gluten (wild gluten). Humans have consumed these species of wheat for thousands of years and have not experienced gluten intolerance as often seen today. However, the gluten protein in the wheat has undergone no structural changes during the studies carried out to improve the wheat. The last ring of differentiated wheat evolution has caused an explosion in the frequency of wheat gluten celiac disease and gluten intolerances in bread. The cultivation of this species of wheat has originally begun 13,000 years ago in Anatolia particularly in the Kars region of Turkey. Most of the wheat produced today has 42 chromosomes. However, Emmer wheat has 28 chromosomes.